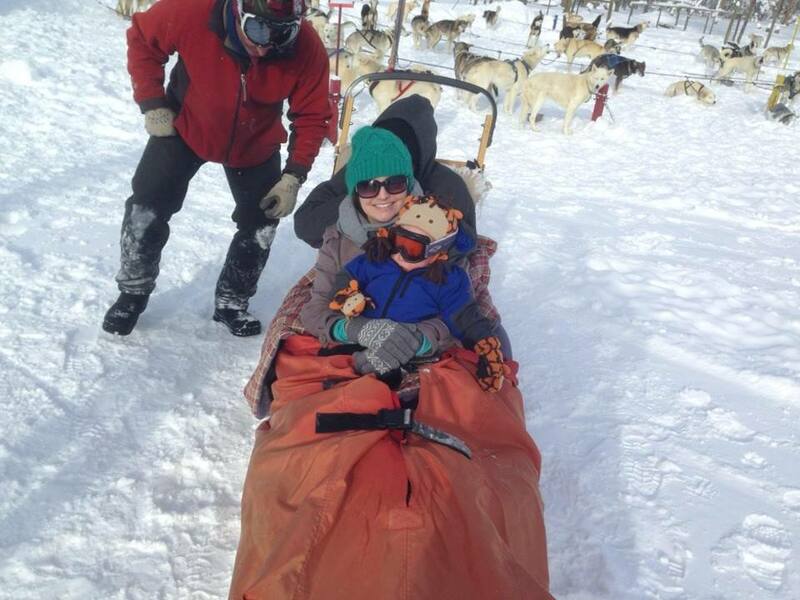 This past weekend we took a little family vacation and went dog sledding with our son, Wyatt. We had a great time and it is a family memory we will have forever. As we create new family memories with our son, we do so without the fourth member of our family. Olivia, our beautiful daughter, is an angel in Heaven. She is forever 20 months and 3 days old. As we experience life with Wyatt we know that these new memories don’t include his twin sister. She is always in our hearts and our thoughts but it’s not the same. As we were pulled through the trail by the pack of beautiful dogs I kept thinking we are missing one. Olivia would absolutely love this! She would have thought it was hysterical to see the dogs playing and how excited they were. She would have thought the cold was funny. She had the weirdest sense of humor, but it was absolutely delightful. There were many times that Wyatt would be gasping with the cold windy air during the winter of 2012-2013 but Olivia would laugh at the chill. She could delight in anything. When you lose a child you are never the same. There’s never quite the same amount of joy again. You can laugh. You can smile. You can count your blessings. But you do so with a sadness and emptiness that never dissipates. We make the most of our time with Wyatt and are sure to never take his life for granted. But it doesn’t take away the ache of wanting to enjoy our life with our daughter. I long so much to see her smile again and to hear her laugh. I think of what life would have been like if she were here and healthy. How I was supposed to have two crazy toddlers to chase around. I should have had two babies climbing on furniture and throwing temper tantrums. I should have two babies to wake up to each morning. Two babies to experience life’s joys with. Instead life moves on and we make new memories with the thought of what should have been. Cancer steals everything. It takes away children’s lives, parents dreams, family memories, and everything in between. Today 46 more families will hear the words, “your child has cancer.” And 7 will watch their child take their last breath. And these statistics repeat each and every day. The Olivia Caldwell Foundation raises money for pediatric brain cancer research to help find a cure. You can help in our fight by visiting our website. Learn more about our organization, our research team, Olivia’s story, and donate or purchase promotional items. www.oliviacaldwellfoundation.org. Together we can make a difference!